Coming back to new and old faces in the worlds of Jack Ryan and James Bond. What a raw show without notes is like. Still an analyst at heart! Answering the cliffhanger you forgot about from Jack Ryan’s last film, Patriot Games. Obtuse and lingering danger. Batman as Jack Ryan. Respect the oval office. Is this a win for the hero? A new James Bond and the missing James Bond. The awareness of The Living Daylights. 007 and the other double-0’s. Michael Koester says some ridiculous things and some profound things. Well, maybe just one profound thing. The debunked James Bond fan theory. A little more behind the curtain talk on Double Feature. 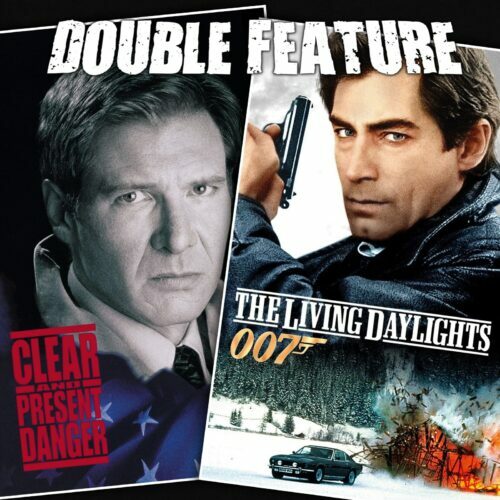 This entry was posted in All Podcasts, Jack Ryan + James Bond, Year 8 and tagged John Glen, Phillip Noyce. Bookmark the permalink.